Japanese trauma techno pop band URBANGARDE has released the music video for “Shoujo Gannen” (“Girls Year One”), the lead track from their new album Ai to Gensou no URBANGARDE (“URBANGARDE of Love and Fantasy”), released on November 21. With the Heisei Era coming to a close on April 30, 2019, URBANGARDE proclaims the next era of Japanese history will be defined as the “Shoujo Era”. For the “Shoujo Gannen” music video, the band brings in 4-member dance performance unit Atarashii Gakkou no Leaders as special guests who break free of the classroom and take over the streets in front of the National Diet Building. Ai to Gensou no URBANGARDE features a collection of the band’s favorite songs from their previous albums, plus rare and unreleased tracks. 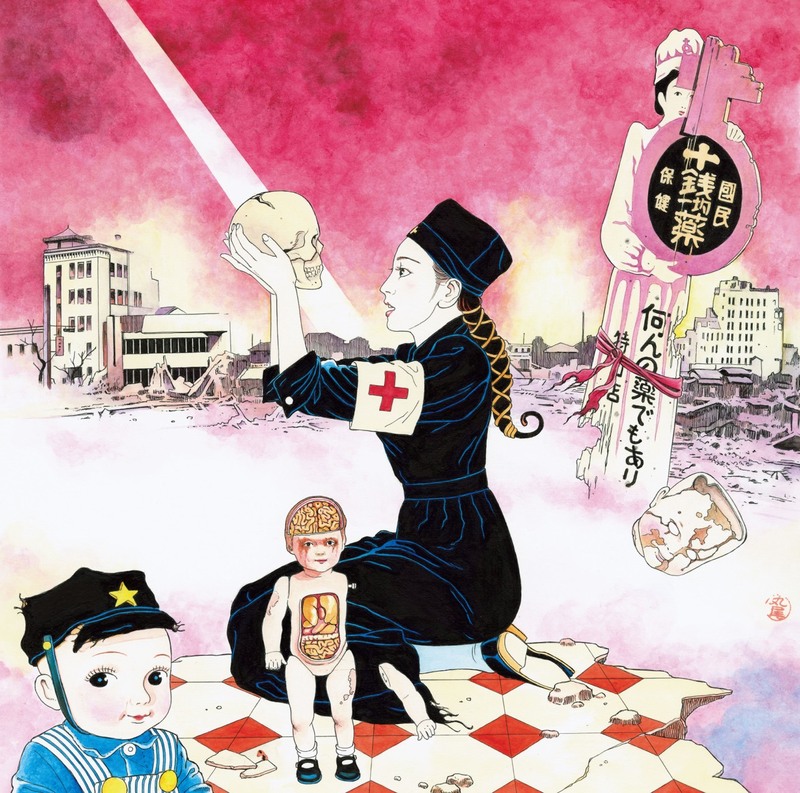 The album’s cover art is illustrated by Japanese subculture artist Suehiro Maruo, and the limited edition includes URBANGARDE’s 10th anniversary concert “KEKKON SHIKI” recorded live at Nakano Sun Plaza on April 8th. 16. Sailor Fuku wo Nuganai de 2012 ver.